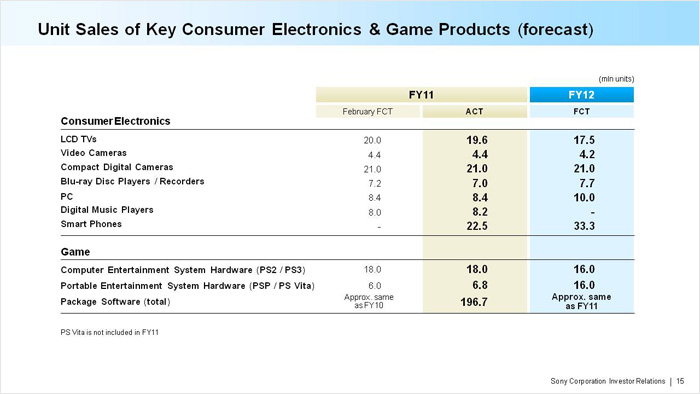 Sony recently released annual earnings, and they were nightmarish. That's zero for six. To be fair, Sony was only forecasting aggressive growth in LCD TVs (20%) and PCs (15%), but man, those are scary numbers. Two years ago, Sony bet the company on LCD televisions. Today, they're forecasting a 10.7% decline in sales. 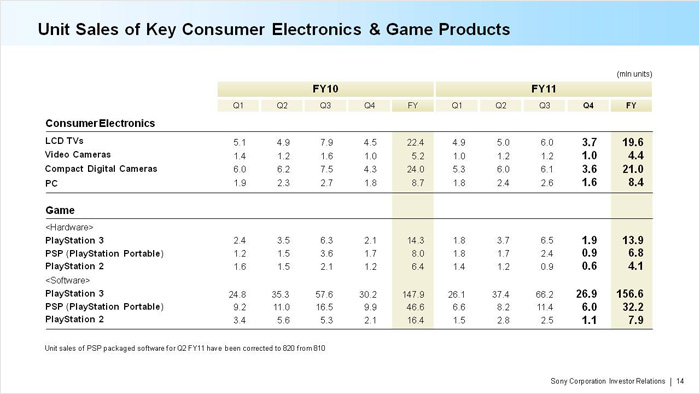 Now their growth drivers are supposed to be PCs (+19% in a fiercely competitive market), smart phones (+50%, same), and the Vita (lumped in with the PSP, so it's hard to calculate the exact growth rate, but it's huge). 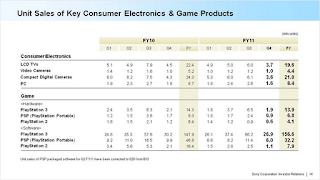 Sony can't compete with Apple at the high end, price-wise, because Apple is totally dominating that space and has customer loyalty that Sony can only dream about. And Sony can't compete below that, because Samsung and several other companies produce feature-rich, lower-cost products than Sony can't or won't make. What the hell do you do when there is no space left in which you can become a dominant player? Sony did announce a joint venture with Panasonic to produce OLED panels, but Samsung and LG will both have products hitting the market by the end of this year, while 2015 is the target date for the joint venture. Like many of you who are close to my age, I remember the days when Sony drove the market. They created entirely new products, then convinced people that they needed them. That kind of innovation certainly drove customer loyalty--a product with "Sony" on the front usually meant that it was best in class. Over time, though, the market has changed. More players. Far more competition on both features and price. And it doesn't appear that Sony is able to respond effectively. They do have, however, a highly profitable insurance company.